The I.H.M. is pleased to announce the European tour projected dates for 2014. The Seminars will focus on Hahnemanns directions for practicing homoeopathy, and demonstrate the use of the Therapeutic Pocket in clinical situations along with using the Materia Medica to ascertain the correct prescription every time. These are the locations we are working on. This page along with a dedicated website will be updated as soon as we have news. Seminars being prepared by the Institute for Homeopathic Medicine in conjunction with Dr Isidre Lara and Marco Colla. San Sebastián. May 2014. Pending dates. Zaragoza. 4-6 July 2014 (2 complete days, from Friday afternoon till Sunday lunchtime). Confirmed dates. Turin Italy Oct- to be confirmed. Las Palmas (Canarian Islands). Pending time. Posted on January 29, 2014 by Guiilermo. 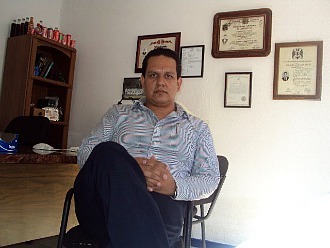 Author: Dr. José Guillermo Zamora De La Paz, Surgeon UAG, Dhom med (Degree) Institute for Homoeopathic Medicine. There is no doubt that the facts speak for themselves. Everyone has the right to think, imagine, imagine, and even interpret observations and experiences in the way you want. The problem arises when we put homeopathy those interpretations in the field of case-taking and experimentation, forgetting the goal of homeopathy, which is to get the whole patient homeopathic feature to assemble a list of symptoms that a remedy has generated in a healthy patient during an experiment or poisoning, accidental or not, and that contains the largest number of patient symptoms. According to Kellerstein, making the feature entirely both in the field of the sick patient and pathogenetic consists of a “pattern of engagement” in each case may present not only keynote, but a shower of Keynotes they can be differentiated from any of the symptoms components (often from modifying influence) obtained in the case. The following example illustrates two similar comments, both interpretations of the same symptoms, which in fact are placed in various support positions ( in collections ) for the homeopath in practice, and that personal opinion result in a divergent strabismus the each other for true homeopathy Hahnemanniana.Insight and analysis personnel are required by the homeopath to understand what will arise. “In selecting the characteristic symptoms, I have not been guided by some previous work such as the Jahn, Possart, Boenninghausen, Altshuhl or Schneider. KENT, STOMACH-Drink-Just the water warms in the stomach: CHLF, PHOS, Pyrog. ” Only PHOSPHORUS find the same rare and characteristic symptom“DRINK COLD WATER BRINGS RELIEF IMMEDIATELY” …. Boenninghausen TPB (Therapeutic Pocket Book, 1846) . Torso Interior stomach + Improvement, Food and Drink, Cold water, which gives a 100% combinability to find that each symptom has maximum degree 4 Phosphorusappears as main remedy. We then have two comments similar to interpretation are taken to support materials differently. Materials Adolph Lippe offer practical tools for learning Materia Medica, although in practice, from my own experience, useful only occasionally for the analysis of the case, as they are limiting since they are offered as combined symptoms using a location updated mode, or a feeling + a form, or a location + a sensation. This means that often the symptoms must be interpreted (contrary to what is established from the reactor) or they have to be collected in the same manner and combined preset from a particular case, which rarely occurs and does not guarantee similarity. Serious inconsistencies are observed by Lippe (do not know whether ignorance or not wanting to give exact references to where I got the combinations in the TPB), describing how they organize the project ” in the same order that was adopted by Hahnemann “ and advised that his work can be used ” just like a directory . ” Although at least have his honesty when he admits ” not being guided “by Boenninghausen (among others). Likewise, we must recognize the contribution of Lippe in information and additional remedies that could, if fully understood the concept and structure of the TPB, added to the repertoire of systematic way. By the other words, the central point in the construction of the Therapeutic Pocket Book Boenninghausen is abstraction of symptoms from proving, ie, in the isolation of an element of context or other accompanying items in its original position, as for example the procedures for extracting the regions where it originally appeared, and place them in a separate chapter (*), which willallow the user to “complete” symptoms by analogy through recombination of elements in a case even show combinations never before seen in a proving . This approach allows range of motion and limitless combinations, not to mention the case when monitoring the correct use of matches made. * Misunderstanding and erroneously propagated as ” generalization “. Homeopathy based on their sources does not allow interpretations, since issues such as those that approach depends on how you see the white “if half full or half empty,” do not apply here, much less from the point that has been raised because the data in the medical field is hard, it’s raw, it’s pure. What I can say is that while using the symptom Keynote greatly increased the effectiveness of my prescriptions in the past with respect to Kentiano method (from 20 to 50-60%), since I began my studies of homeopathy have never seen a symptom as commented above (is not I “interpreted” in the same way?) even remembering through any of the thousands of patients I have seen from my education, so I do not agree with Lippe in the sense that this is a “symptom” often. However I think the right way to handle our interpretations, it is precisely as it does Boenninghausen, leaving them there, as simple comment without putting them into the working tools (which increases the effectiveness 85-95%). On the other hand, if I may, what I would advise is not to accept everything that is offered in different homeopathic works presented, doubt much of what they read and what they are told in school; be aware that one should only learn the qualities of a particular method through clinical experience in similar conditions and patients.Basing our requirements in cases other, or in no provings methodology invented by some people, we only becomes Gurus manufacturers. Best see first how did Hahnemann, on the basis that, as the work tools he used were developed and what is the methodology of their experimental model. Once we know and what we do repeatedly, then we know what is best for our patients and we dismiss the symptoms were improperly is intermingled in different and imperfect medical matters with which we have. The Testimony of the Clinic By Eugene Beauharnais NASH, Case 54. Text Book of Materia Medica by Adolph Lippe, MD, Symptom 71. “The increase in the medicinal power in proportion to the increased dynamism is, anyway, so striking to be forced into every attentive observer … Only with reference to aggravation of symptoms and improvement … the highest and lowest powers always remain equal, and this constant urge to uniformity should homoeópatas currently studying with great eagerness, and pay special attention to the same thing when you select a remedy “… The Value of High potencies , AHZ 1860:61, in BLW141. “The Modern Repertory of Kent” for Eizayaga, Buenos Aires, 1979. OpenRep SYNOPSIS Therapeutic Pocket Book in Spanish. A homeopathic action is a law of nature. It is a Principle reality like Action and Reaction.We see it working around us in so many ways. Homoeopathy the therapy, is a device to utilise the law of nature in a logical, controlled and repeatable manner in which to reverse dis-ease in suffering living organisms. The development of the therapeutics took many years to come to fruition under the guidance of Samuel Hahnemann, with constant refinement all along the way. He ascertained the principle in action regarding expressed symptoms of a sick person, and found the substances could induce the very same symptoms when tested in a variety of dilutions on healthy persons. Once he established this connection, his life work progressed to testing many substances for an accurate recorded listing of the symptoms produced, and then tested them on sick individuals who exhibited the same symptoms in disease conditions. He did not speculate on causation or theorise regarding a spiritual malaise or a psychosomatic division or a conflict in spirituality…….indeed he warned against that, and many disregarded his advice including Kent. Hahnemanns words regarding the finding of the disease state for cure are summed up in aphorism 6 of the Organon of Medicine. “The unprejudiced observer – well aware of the futility of transcendental speculations which can receive no confirmation from experience – be his powers of penetration ever so great, takes note of nothing in every individual disease, except the changes in the health of the body and of the mind (morbid phenomena, accidents, symptoms) which can be perceived externally by means of the senses; that is to say, he notices only the deviations from the former healthy state of the now diseased individual, which are felt by the patient himself, remarked by those around him and observed by the physician. All these perceptible signs represent the disease in its whole extent, that is, together they form the true and only conceivable portrait of the disease. I know not, therefore, how it was possible for physicians at the sick-bed to allow themselves to suppose that, without most carefully attending to the symptoms and being guided by them in the treatment, they ought to seek and could discover, only in the hidden and unknown interior, what there was to be cured in the disease, arrogantly and ludicrously pretending that they could, without paying much attention to the symptoms, discover the alteration that had occurred in the invisible interior, and set it to rights with (unknown!) medicines, and that such a procedure as this could alone be called radical and rational treatment. This must surely negate any efforts by individuals who continually seek the “interior delusion” state for prescribing. Hahnemann as a physician and chemist and thinker, spent his life in experimentation eliciting the reasons and methodology for the application of the homoeopathic principle in a logical and controlled way, to allow the curative process inherent within each living organism to be aided by a ‘drug’ action. Most of modern psychology is based on certain modes of thinking by individuals. In reality, it means the models employed are nothing more than opinions of how people think or react or how they should behave given the overlay of the psychologists thinking or explanation as to why things occur. It is not a proven science nor is it stable. Hahnemann negated the need for all involvement in seeking a deep psychological reason for prescribing, and gave the ONLY REQUIREMENTS NECESSARY for eliciting the true picture of individualized disease. It is not a diagnosis of a named disease, it is the true expression of how infecting agents or how a progression of symptoms causing discomfort affect the recipient SOLELY. If reading the above aphorism does not cause you to reflect along sound medical principles and homoeopathic understanding, then you will spend the rest of your life practicing a bastardized and useless form of homeopathy, and be forever chasing philosophies and mens adaptions on a theme which will make them very rich and leave you a poorer physician professionally. There are many paths to the homeopathic principle being applied, but only one utilising a well researched and proven and repeatable application of medicines along sound, practical and scientific lines. It only works if applied correctly. There is no place for remedy families, Sensation method, polarities, element tables etc. There is only the simplicity of Hahnemanns words. Or why the ‘Principle’ of the homeopathic law does not ever need to descend into allopathic thinking. ” Now in order to diminish the morbid projection of the psoric affection upon the smaller and nobler organs, and to procure for this effort of the vital force to keep the internal dyscrasia in abeyance a more extensive surface on which it may expend its virulence, we must apply to the back something that shall at once check the cutaneous transpiration and at the same time be slightly irritant. “This may be accomplished by means of a plaster composed of six parts of Burgundy pitch to one of turpentine mixed together over a charcoal fire, spread upon soft chamois leather, and applied warm by a uniform close pressure to the skin. It usually happens that a fine rash accompanied by considerable itching is soon produced thereby on the surface of the back. This was sent to Stapf in the letter of August 5, 1830. 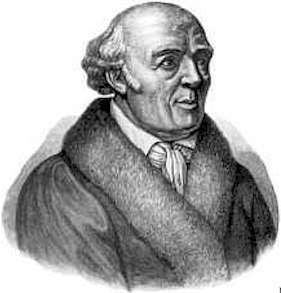 ” Homoeopathy is a perfectly simple system of medicine, remaining always fixed in its principles as in its practice, which, like the doctrine whereon it is based, if rightly apprehended, will be found to be so exclusive (and only in that way serviceable) that as the doctrine must be accepted in its purity so it must be purely practiced, and all backward straying to the pernicious routine of the old school (whose opposite it is as day to. night) is totally inadmissible, otherwise it ceases to deserve the honorable name of Homoeopathy. “I am, therefore, sorry that I once gave the advice, savoring of Allopathy, to apply to the back in psoric diseases, a resinous plaster to cause itching, and to employ the finest electrical sparks in paralytic affections. “…………….Over excitement with the ideas of delusions and dreams might have caused some of our prescriptions to go prejudiced or in the totally wrong direction. Proving symptoms are the most reliable. with direct symptoms from the provers, we don’t need to look elsewhere. 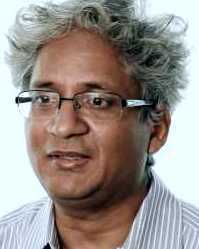 There are no preconceived notions of remedy pictures, just the symptoms of the patient.” Rajan Sankaran. With these words, the single biggest influence on modern homoeopathic practice, “The Sensation Method” has been admitted to as being a false and misleading doctrine. For the vast majority of people in practice in the West, it has invalidated everything that they have been taught or believe. I am sure that this quote, will be justified in the light of needing explanation so as to minimise the loss of followers for the income producing methodology (for Sankaran) that has replaced REAL homoeopathic treatment, and it will perhaps lead to yet another version of a watered down, if not antipathic version of Hahnemanns instructions for case taking and management. 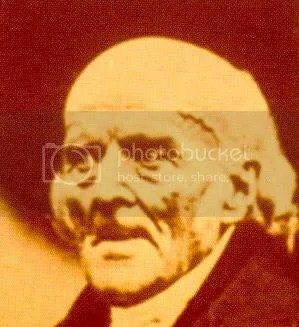 For those of us in the West, who have pursued a life of research into the writings and methodology of Samuel Hahnemann, and have followed the development of the principles of practice as outlined by him, this ‘admission’ comes a little late. The entire homoeopathic community has been infected with his false teachings, and entry to professional organisations has only been allowed if a practitioner could answer questions based around the Sensation method. Not one thing of value has been added to the physicians understanding of homoeopathic case taking by learning this methodology. 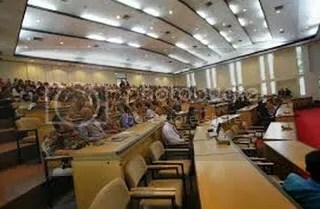 It has prevented the students from learning the REAL medical practice, and unleashed a whole slew of untrained practitioners into the homoeopathic fraternity to dabble in quasi psychological models utilising the doctrine of signatures and many other things that are opposed to the curative abilities of symptom matching in the prescribed manner. To those practitioners of the Sensation method. Please stop immediately. Go back and relearn the real homoeopathy. Send Mr Sankaran the bill for wasting your time. The Sensation method could not and can not exist without the support of followers. What really gets to me is that each and every follower of Sankaran, could so easily have discerned the truth by reading the original works for themselves. Why did this not happen? What were you thinking? Why was it so easy to mislead you? Do you have the humility to go back and relearn and stop fiddling with peoples health and actually really cure them? There are plenty of highly trained research homoeopaths in the West to help direct you onto the correct medical path for your training. George Dimitriadis and Ken D’aran in Australia. Doctor Guillermo Zamora in Mexico. Vera Resnick in Israel, Vladimir Polony in USA. Dr Gary Weaver in U.K. and Spain and Italy…… and many more in other countries. They will not teach you a philosophy. They will not teach you an opinion, they will direct you to the original works and guide you through so that YOU learn from the masters and practice accordingly with repeatable success in case management. Its up to you. Time to reverse the damage. Study: Vaccine adjuvants aluminum hydroxide causes neurological disease. For years following the first Gulf War (1991), scores of returning American and Western military personnel suffered through a set of mysterious symptoms that doctors and scientists eventually described as “Gulf War Syndrome” (GWS), if for no other reason than because they simply could not identify a core set of causes for a variety of different symptoms. Gulf War syndrome (GWS), also known as Gulf War illness (GWI), is a chronic multisymptom disorder affecting returning military veterans and civilian workers of the Gulf War. A wide range of acute and chronic symptoms have been linked to it, including fatigue, muscle pain, cognitive problems, rashes and diarrhea. The percentage of veterans of that conflict who ultimately suffered from GWS was astounding: More than one-third, or approximately 250,000 of the 697,000 vets who served in the first Gulf War campaign, are afflicted, according to the National Academy of Sciences. 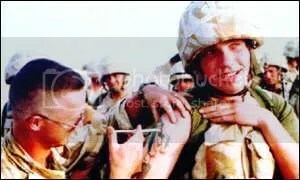 Gulf War Syndrome is a multi-system disorder afflicting many veterans of Western armies in the 1990-1991 Gulf War. A number of those afflicted may show neurological deficits including various cognitive dysfunctions and motor neuron disease, the latter expression virtually indistinguishable from classical Amyotrophic lateral sclerosis (ALS) except for the age of onset. This ALS “cluster” represents the second such ALS cluster described in the literature to date. Possible causes of GWS include several of the Adjuvants in the Anthrax vaccine and others. The most likely culprit appears to be Aluminum hydroxide. The study, conducted by Canadian researchers from the Department of Ophthalmology and Visual Sciences, University of British Columbia, Vancouver, involved a set of experiments in which researchers examined the potential toxicity of aluminum hydroxide in male mice that had been injected subcutaneously with two doses that were equivalent to that given to humans. Aluminum-treated mice showed significantly increased apoptosis of motor neurons and increases in reactive astrocytes and microglial proliferation within the spinal cord and cortex. Morin stain detected the presence of Aluminum in the cytoplasm of motor neurons with some neurons also testing positive for the presence of hyper-phosphorylated tau protein, a pathological hallmark of various neurological diseases, including Alzheimer’s disease and Frontotemporal Dementia. Multiple additional causes of GWS? In a second set of experiments, scientists injected mice with six doses of aluminum hydroxide and then conducted behavioral analyses, which “revealed significant impairments” in several motor functions, as well as diminished memory capacity. The ground combat phase of the Gulf War lasted a mere 100 hours and began in late February 1991, but troops were on the ground in a toxic environment in Kuwait and Iraq for several months. As such, from 1995 to 2005, the health of combat vets got worse compared to military members who had not been deployed to the combat zone. Those affected experienced a host of problems ranging from new chronic diseases to functional impairment, repeated clinic visits and hospitalizations, chronic fatigue and related symptoms, posttraumatic stress and other problems. In addition to the 2009 study, other research has suggested that the syndrome may also have been caused by depleted uranium (which was used by U.S. tanks against Iraqi tanks, as well as U.S. Air Force planes like the A-10), sarin gas, smoke emanating from oil wells that had been set on fire by retreating Iraqi forces, predeployment vaccines and psychological factors. That said, only two substances – pyridostigmine (an antitoxin for nerve agents) and organophosphate pesticides have been strongly, and routinely, associated causally with Gulf War Syndrome, according to the U.S. Department of Veterans Affairs. Why homoeopaths need to investigate the drugs a patient is on before prescribing. New meds are rushed to the market so industry can start making money even before safety has been determined. Editor’s note: The following article is a follow up to a previous AlterNet piece about drugs whose dangerous side-effects emerged only after the pharmaceutical industry’s patents ran out. Read part 1 here. When a prescription drug causes risky side effects, the word often doesn’t get out for years, allowing Big Pharma to make money anyway. The FDA and Big Pharma contend that dangerous side-effects in a prescription drug only emerge when it is used by millions instead of the relatively small group of people in clinical trials. But there is another reason the public ends up guinea pigs. Prescription drugs are rushed to market in as little as six months so industry can start making money while safety is still being determined. Both Merck’s risk-laden bone drug Fosamax and painkiller Vioxx were on the market after a six-month review. In the case of Vioxx, it was because “the drug potentially provided a significant therapeutic advantage over existing approved drugs,” the FDA said. Thanks for that. And five drugs (Trovan, Rezulin, Posicor, Duract and Meridia) rushed through in 1997 because of Pharma and congressional pressure on the FDA, says Public Citizen, were subsequently withdrawn. You’d think Merck would have learned from Vioxxand Fosamax that aggressive marketing can only hide emerging risks for so long. It didn’t. To sell its asthma and allergy drug Singulair to children, the drug giant partnered with Olympic gold-medalist swimmer Peter Vanderkaay and Scholastic and the American Academy of Pediatrics even as the FDA warned about “neuropsychiatric events” including agitation, aggression, nightmares, depression, insomnia and suicidal thinking. While Merck marketed Singulair, which comes in a cherry-flavored chewable formulation, to parents with slogans like “Singulair is made with kids in mind,” Fox TV and over 200 parents on the website askapatient reported that children on Singulair exhibited altered moods, depression and ADHD, hyperkinesis and suicidal symptoms. Fifteen-year-old Cody Miller of Queensbury, NY reportedly took his own life days after taking the drug in 2008. Still, Singulair made $5 billion for the company in 2010. After its patent expired in 2012, Australia’s Therapeutic Goods Administration, the FDA’s counterpart, reported 58 cases of adverse psychiatric events in children and teenagers, primarily suicidal thinking. Who knew? How do you sell a drug that causes 30 percent of users to gain 22 pounds and some to gain as much as 100 pounds? By burying the risks. The antipsychotic Zyprexa was supposed to be Eli Lilly’s followup to its blockbuster antidepressant Prozac even though Lilly knew as early as 1995, according to the New York Times, that Zyprexa was linked to unmanageable weight gain or diabetes. Zyprexa’s side effects of “weight gain and possible hyperglycemia is a major threat to the long-term success of this critically important molecule,” wrote Lilly’s Alan Breier, who later became chief medical officer, in documents obtained by the Times. Even as Lilly settled charges that it withheld the drug’s link to high blood sugar levels and diabetes and illegally marketed the drug for dementia, Zyprexa made $5 billion in 2010 and out-earned Prozac. Who says crime doesn’t pay? Zyprexa was especially marketed to the poor and became one of the nation’s top Medicaid drugs extracting at least $1.3 billion of our tax dollars in 2005 alone. In 2008, Lilly settled an Alaskan suit to cover the cost of Medicaid patients who developed diabetes on Zyprexa. Unbelievably, Lilly offered a “free service” to “help” states buy mental illness drugs like Zyprexa as a fox guards the henhouse and 20 states took the bait. Zyprexa’s patent ran out in 2012. Like Zyprexa, the antipsychotic Seroquel, made by the UK firm AstraZeneca, became a best-selling medication in the US, earning over $5 billion in 2010, despite frequently reported risks. It was so heavily marketed to poor children that in 2007, Florida’s Department of Juvenile Justice’s bought twice as much Seroquel as Advil. Seroquel’s high use in the military for the unapproved uses of sleep and PTSD was also disturbing: reports of veterans’ sudden deaths on the drug, thought to be cardiac-related, surfaced even as use of Seroquel soared 700 percent in the Department of Defense. In 2009, it was the number-two drug at the VA, accounting for $125.4 million in tax dollars. Months after Seroquel’s 1997 approval, an article in the South Dakota Journal of Medicine raised questions about the drug’s unsafe interaction with 11 other drugs. Within three years, researchers at the Cleveland Clinic were questioning Seroquel’s effect on the heart’s electrical activity. But even as the families of deceased veterans testified at FDA hearings in 2009 and demanded answers from officials and lawmakers, the FDA maintained Seroquel’s safety. Then in 2011, with little fanfare, the FDA issued new warnings that corroborated the swirling suspicions: both Seroquel and its extended release version “should be avoided” in combination with at least 12 other medicines, said the FDA. The drug should also be avoided in the elderly and people with heart disease because of clear cardiac risks. Oops. Seroquel’s patent ran out the following year. Fluoroquinolone antibiotics are among the biggest-selling drug classes. Many people remember the fluoroquinolone Cipro (given for 9/11-era anthrax attacks) but Pharma hopes we don’t remember the fluoroquinolones Trovan, which was withdrawn for causing liver damage, and Raxar, which was withdrawn for causing cardiac events and sudden death. Johnson & Johnson’s fluoroquinolone Levaquin was the US’ best-selling antibiotic in 2010 with sales over a $1 billion a year but is now the subject of thousands of lawsuits. In 2012, a year after Levaquin’s patent expired, a cascade of side effects began to emerge with Levaquin and the whole class of fluoroquinolones that casts doubt about their safety. The Journal of the American Medical Association reported that of 4,384 patients diagnosed with retinal detachment, 445 (10 percent) were exposed to a fluoroquinolone in the year before diagnosis. The New England Journal of Medicine reported the same year that Levaquin was linked to an increased risk of cardiovascular death, especially sudden death from heart rhythm disturbances. While the FDA warned of tendon ruptures on fluoroquinolones, especially Achilles’ tendons in 2008, and added a black box warning on the label, it had a serious new warning two years after Levaquin went off patent. In 2013, the FDA warned about the “the serious side effect of peripheral neuropathy” in fluoroquinolones, a type of nerve damage in which sensory pathways are impaired. Peripheral neuropathy caused by fluoroquinolones like Levaquin can “occur soon after these drugs are taken and may be permanent,” warned the FDA. Fluoroquinolones are also linked to Clostridium difficile, also called C. Diff, a serious and potentially deadly intestinal microbe. Before its patent expired in 2009, the seizure drug Topamax made Johnson & Johnson a billion a year and it still made $538 million a year after its patent expiration. Topamax was such a favorite for pain conditions in the military it was given the nickname “Stupamax” for the way it slowed reaction times and impaired motor skills, attention and memory, according to Army Times. Not too great for combat. A year before Topamax went off patent, the FDA warned that it and other seizure drugs are correlated with suicide and asked their manufacturers to add label warnings. Four patients on the drugs killed themselves versus none on placebo reported the FDA after reviewing clinical trials. Then, in 2011, the FDA announced that Topamax can cause the birth defects cleft lip and cleft palate in babies of mothers who take the drug. “Before starting topiramate, pregnant women and women of childbearing potential should discuss other treatment options with their healthcare professional,” the FDA warned, though the risks did not stop the FDA from approving a new diet drug containing Topamax’ generic drug in 2012. Purdue Pharma’s Oxycontin is the granddaddy of drugs that make money despite lethal side-effects. Along with other prescription opioids, it accounted for an astounding 17,000 deaths last year—four times that in 2003. “The increase [in use] has been fueled in part by doctors and pain advocacy organizations that receive money from drug companies and make misleading claims about the safety and effectiveness of opioids, including that addiction is rare,” reported the Journal Sentinel.The American Geriatrics Society used Pharma-linked experts to rewrite clinical guidelines in 2009, says the Journal Sentinel, which specified opioids for all patients with moderate to severe pain as opposed to Aleve or Advil. Ka-ching. Oxycontin, because it is a long-acting formulation, was supposed to reduce toxicities and addictiveness—at least until its crush, snort and shoot potential made it more popular than cocaine on the street. (All the pill’s 80mg could be taken at once.) In 2010, responding to the addictions, overdoses, deaths and diversions associated with the drug, Purdue rolled out a tamper-resistant Oxycontin and began to push for state and federal laws requiring opioids to be tamper-resistant in 2012. Purdue said public health was its main concern but many are asking why that concern only surfaced as Oxycontin’s patent was expiring. Its patent expired in 2013. Martha Rosenberg is an investigative health reporter and the author of Born With a Junk Food Deficiency: How Flaks, Quacks and Hacks Pimp The Public Health (Random House). This article first appeared in The Fix, which features coverage on addiction and recovery, straight up. On March 29, 2009, Robert Stewart, 45, stormed into the Pinelake Health and Rehab nursing home in Carthage, North Carolina and opened fire, killing eight people and wounding two. Stewart’s apparent target was his estranged wife, who worked as a nurse in the home. She hid in a bathroom and was unharmed. Stewart was charged with eight counts of first-degree murder; if convicted, he could face the death penalty. Even though there was evidence that Stewart’s actions were premeditated (he allegedly had a target), Stewart’s defense team successfully argued that since he was under the influence of Ambien, a sleep aid, at the time of the shooting, he was not in control of his actions. Instead of the charges sought by the prosecutors, Stewart was convicted on eight counts of second-degree murder. He received 142 – 179 years in prison. Ambien, a member of the class of medications known as hypnotics, was approved by the FDA in 1992. It was designed for short term use to combat insomnia and was a welcome change from the prevailing sleep aid at the time, Halcion, which had been implicated in psychosis, suicide, and addiction and had been banned in half a dozen countries. Ambien works by activating the neurotransmitter GABA and binding it to the GABA receptors in the same location as the benzodiazepines such as Xanax and Valium. The extra GABA activity triggered by the drug inhibits the neuron activity that is associated with insomnia. In other words, it slows down the brain. Ambien is extremely effective at initiating sleep, usually working within 20 minutes. It does not, however, have an effect on sustaining sleep unless it is taken in the controlled release form. Although the Ambien prescribing information warned, in small print, that medications in the hypnotic class had occasional side effects including sleep walking, “abnormal thinking,” and “strange behavior,” these behaviors were listed as extremely rare, and any anecdotal evidence of “sleep driving,” “sleep eating,” or “sleep shopping”—all behaviors now associated with Ambien blackouts—were characterized as unusual quirks, or attributed to mixing the medication with alcohol. It wasn’t until Patrick Kennedy’s 2006 middle-of-the-night car accident and subsequent explanation to arriving officers that he was running late for a vote that the bizarre side effects of Ambien began to receive national attention. Kennedy claimed that he had taken the sleep aid and had no recollection of the events that night. After its approval, Ambien quickly rose to dominance in the sleep aid market. Travelers swore by it to combat jet lag, and women, who suffer more insomnia than men, bought it in droves. Sanofi, Ambien’s French manufacturer, made $2 billion in sales at its peak. In 2007 the generic version of Ambien was released, Zolpidem, and at less than $2 per pill, it still remains one of the most prescribed drugs in America, outselling popular painkillers like Percocet and prescription strength ibuprofen. Shortly after the Kennedy incident, Ambien users sued Sanofi because of bizarre sleep-eating behaviors while on the drugs. According to Chana Lask, attorney for the class action suit, people were eating things like buttered cigarettes and eggs, complete with the shells, while under the influence of Ambien. Lask called people in this state “Ambien zombies.” As a result of the lawsuit, and of increasing reports coming in about “sleep driving,” the FDA ordered all hypnotics to issue stronger warnings on their labels. In addition to giving consumers extra information so they could take the medication more carefully, the warning labels also gave legitimacy to the Ambien (or Zombie) defense. In March of 2011, Lindsey Schweigert took one Ambien before getting into bed at 6pm. Hours later, she woke up in custody with no idea how she’d gotten there. In the following weeks, Schweigert pieced together the events of that night. She’d gotten out of bed, drawn a bath, and left the house with her dog. She started driving to a local restaurant but crashed into another car soon after leaving her house. Police described her as swaying and glassy-eyed. She failed a sobriety test and was charged with DWI and running a stoplight. Recently, I was made aware that the Spanish Homeopathic Doctors are pushing for the sole right to practice the medical speciality, taking it to government levels no less, to restrict or ban anyone that does not hold a medical license. I was asked my opinion regarding this move, and spent some time thinking on the matter. Firstly, The medical speciality of Homoeopathy is in poor shape. The intrusion of various non homeopathic approaches, such as the sensation method, polarities, periodic tables, remedy families etc, have diluted the training and ability for a person to become a Hahnemannian practitioner. I use the term Hahnemannian simply to define the practice as being the SOLE definition of how the modality should be practiced. The reality being what it is, and with the addition of non homoeopathic practices having influenced the knowledge of both medical and non medical practitioners, there is very little difference between the two camps. In my experience, Western Medical doctors are well trained in allopathy, and have have little or NO training in homoeopathy. What they know is self taught or by attending a few lectures to receive a “qualification” in the therapy. The leaning is always towards allopathy. Non medical homoeopaths in this day and age are in the main, not taught real homoeopathy either. I have unsubscribed from all journals and groups because I can no longer stomach the literary meanderings of confusion and falsehoods that are presented as homoeopathic practice. There are few people to recommend in this day and age as a genuine practitioner of the medical speciality. In accusing me of being old fashioned or clinging to the origins and methodology and “not progressing with the times and advancements”, I would point out that there have been no advancements in deviating from the core principles of the practice, and more to the point, most student have NEVER been taught them, to have a basis in knowledge. So, to let the medical profession have control of the homoeopathic specialty? It wont make a difference really. It will come under governmental control, it will eventually be sidestepped and then removed a lot quicker than if they had to fight a larger group. My experience with the medical profession is that less than 5% who practice homoeopathy attempt to do so with knowledge and with some understanding. The medical profession want this for control and for financial reasons. They will tell you that its for “patient safety from untrained people”. In reality, MOST medical doctors who practice homoeopathy only prescribe in conjunction with allopathic treatments, and have less than NO IDEA what they are doing homoeopathically. For the few medical doctors who practice homoeopathy exclusively and try hard to do it right, I think you should be aware that taking control will actually destroy what you have now and dilute your status and power in a very short time. The people who will run your organisations will not be homoeopaths by nature, they will be politicians and they will SELL YOU OUT as history shows every time. Homoeopathy the therapy, is in a catastrophic state in the 21st century. Success can only be had by a return to the standards of practice and by good solid training in the methodology of Hahnemann to emulate his success for the patient. I personally would resist the medical authorities being in control of ANYTHING on principle. Its bad for me, bad for our children and bad for humanity. In the end it will not matter. Our choices will only expose whom we are on the inside, and not change the outcome that is being sought. Homoeopaths destroy the therapy from the inside out, and the medical fraternity destroy from the outside in.